Manistee National Forest August 20-21, 2002. We did about 6 miles on the first day, having not got on the trails until about 2 pm. Some of this was spent backtracking after a dropped waterbottle and figuring out how to get Beau to not drag me over in a rush to get going. Added to this I couldn’t figure out how to get from the suspension bridge (“Little Mac”) to the NCT to start the loop. I decided to do the MRT first. Since Beau couldn’t walk on a leash without causing bodily harm (mine), we went with no leash and he was perfect the rest of the loop. Mile marker 3 was blown down into a creek and I didn’t trust myself to get it out without whacking myself in the head. We met a young couple, another solo woman, and a father and son pair. By the end of the day we’d only made it to mile marker 4, where we spent the night under a tarp. Unlike Lucy, who will get out from under the tarp, check things out, then come back in at intervals during the night, Beau stayed with me (of course, he was convinced it was too cold, so he tried to get under my blanket). For some reason bugs were not a problem at any point on this trip (I got two skeeter bites and Beau got three), but the spooky sound of the loons was, well, spooky while I was trying to sleep. The next morning we started out early (7am) and soon met a fisherman (who we’d run into again late in the afternoon) and a different young couple out for an overnight. Beau made a good impression on them. We made it to the Red Bridge trailhead by 11am. We ate lunch there and talked to a church youth group (they were going to pack up the trail about 4 miles and then float back down the following day) about backpacking in general. They were very interested in Beau’s part in the trip–it was his trip too, he wasn’t just along for the ride (so to speak). They were shocked that we’d done “before breakfast” what was going to take them the rest of the day I think the dog doing that much hiking in a few hours gave them new resolve. I’d developed some hot spots on my feet, so I fixed those with duct tape. We made it back up the (very sandy) NCT in a few hours, skipping some of the overlooks (ie the old fire tower) before going back to the trailhead at Seaton Creek. That section of the NCT is open to mountain bikes and I know more than a few mtn. bikers who would get a good rush out of it. I would have spent the night out, but it turns out the storm I heard rolling into the valley all day was mean and nasty– uprooting trees nearby. If it had been just me out there I’d have risked it, but Beau’s never been out in a storm before, so I didn’t want his first experience to be too scary. We headed for home (6 hours south) but decided to stay at my brother’s place– only 3 hours away. I did end up stopping at the dollar store for a clean shirt and underwear (which I hadn’t packed, since I hadn’t planned on stopping anywhere after coming off the trail). This is one of my favorite trails. I’m hoping to go back again before too long. We had a great time, even though I will admit 17 miles in one day was too much for me. Beau didn’t seem fazed by the distance and could have done several more miles after he took his nap at the trailhead. Beau was blinking, so he looks really tired. Well, he had just done a 6 hour car ride. 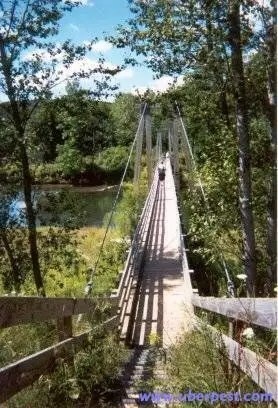 The “Little Mac” suspension bridge spanning the Manistee River. This bridge connects the MRT and the NCT. 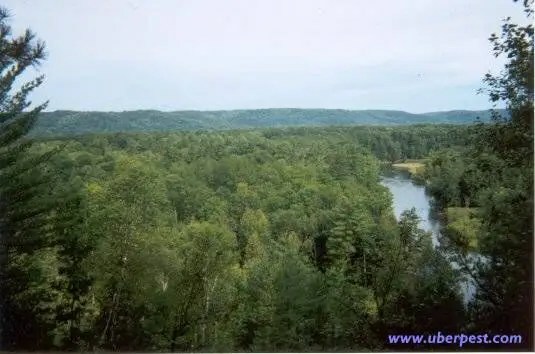 Photo: Overlooking the Manistee River near mile marker 5. Beau stopped to look at this site. I’d have missed it otherwise. He seems to enjoy looking at ‘pretty’ things. The really cool arched timber bridge near milepost 7. Someone looking at my trip photos remarked “Boy, they sure know how to make a bridge up there!” It’s a really nice bridge. Beau saw some canoers and seemed interested in them. Even after they passed he spent a little while just watching the river. A trail marker for the NCT. This is the first one we encountered after leaving the MRT. 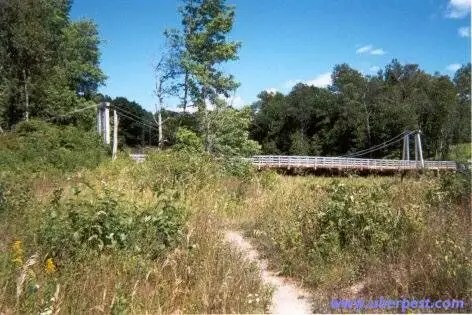 For more information on either of these trails click on the links below. Submitted by Dusty (not verified) on Thu, 2010-11-11 11:46. Great story. 17 miles in a day is impressive! 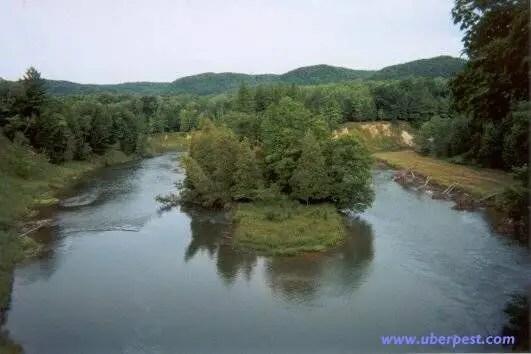 I’ve hiked the Manistee River trail a handful of times and I absolutely love it. In fact, I am leaving in about 5 hours to hit the trail again this weekend. 🙂 We’re hoping to get in the entire loop and do some fishing too. 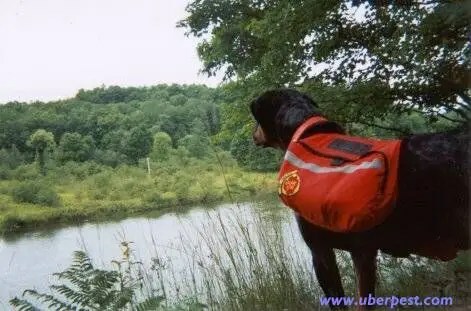 It’s cool to see such a great hiking partner in your dog. 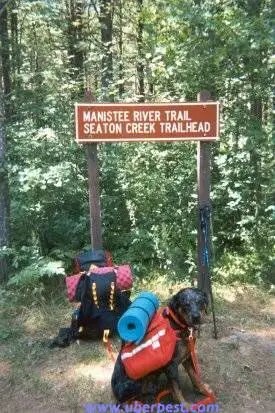 I met a friend in Illinois who also has a great dog he does all his hiking with. I can’t wait to raise my own pup some day soon and hit the trails with him. Submitted by Gregg (not verified) on Sun, 2009-07-12 21:53. Thank you for the very nice post with photo’s to boot. I will be hiking this loop very soon and this post was perfect to get me in the right frame of mind. Thanks again! Submitted by Mitchell (not verified) on Fri, 2009-07-03 17:43. Thanks for the post, my fiance and I are going to do an overnight trip on the same loop. 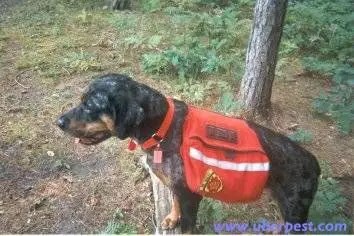 I must say that Beau sounds like a great hiking partner! Submitted by James (not verified) on Tue, 2008-05-13 12:19. Thanks for the great post. 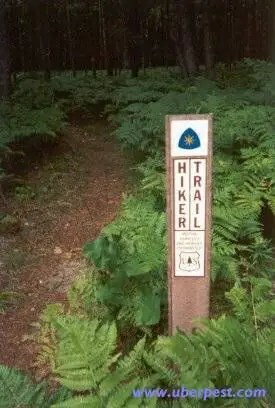 I am really excited about hitting this trail for the first time next week! Great photos! Submitted by Anonymous (not verified) on Sun, 2009-04-26 19:12. 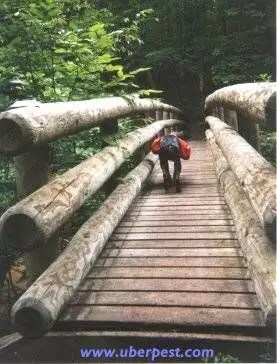 I have been hiking this loop for almost ten years – it is fantastic! Submitted by Pril (not verified) on Tue, 2007-03-27 13:29. Thanks for posting.. and sharing your info and photo’s! My lover and I plus a few others are going to do this loop this year! my first time backpacking and i’m so excited! Thanks again for sharring!